MCCLINTOCK, FRANCIS L. (1819-1907). Irish Arctic explorer who confirmed the fate of Sir John Franklin. ALS. (“F. L. McClintock”). 1p. 8vo. 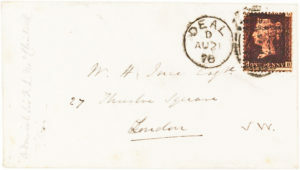 Walmer, August 21, 1878. To W.H. Ince in London. 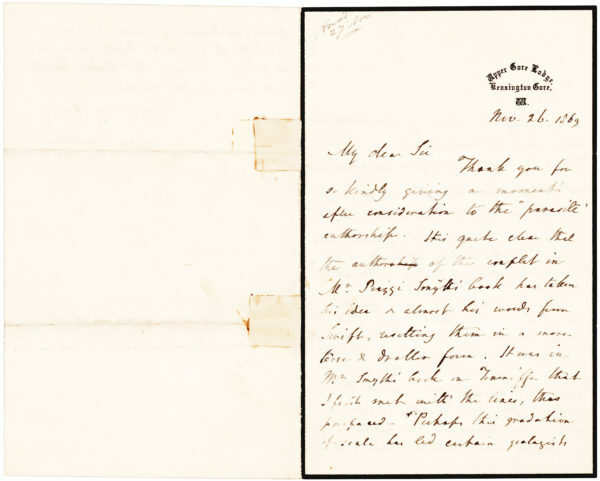 A “gentleman volunteer” in the Royal Navy, McClintock accompanied James Clark Ross to the Canadian Arctic during his 1848 search for Sir John Franklin who, with his 128-man crew, was last sighted at Lancaster Sound near Baffin Island in July 1845. McClintock returned to the Arctic in 1852, to chart the previously unknown coastline. 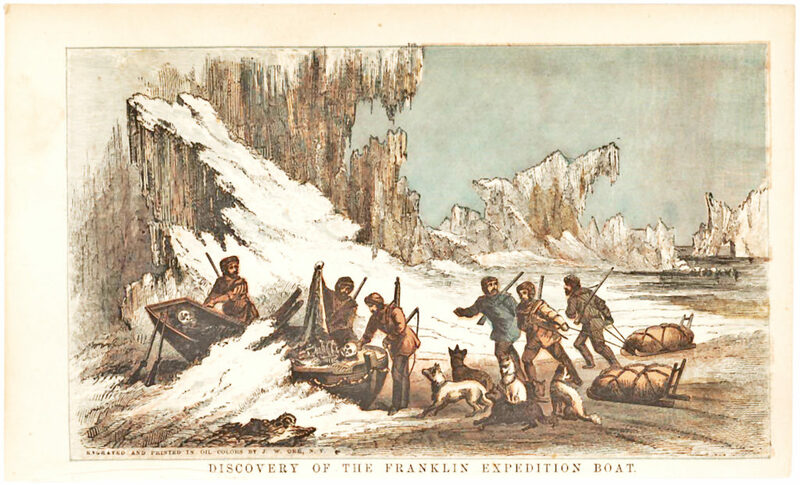 Because of his extensive Arctic experience, Franklin’s indefatigable widow, Lady Jane Franklin, asked McClintock to command an expedition in 1857 to search for Franklin and his men near Repulse Bay, where several years earlier Scottish explorer John Rae had heard Inuit tales of cannibalism amongst Franklin’s crew. Rae’s report to the Admiralty had been leaked, angering Lady Jane and the public, which had come to regard Franklin as a hero. 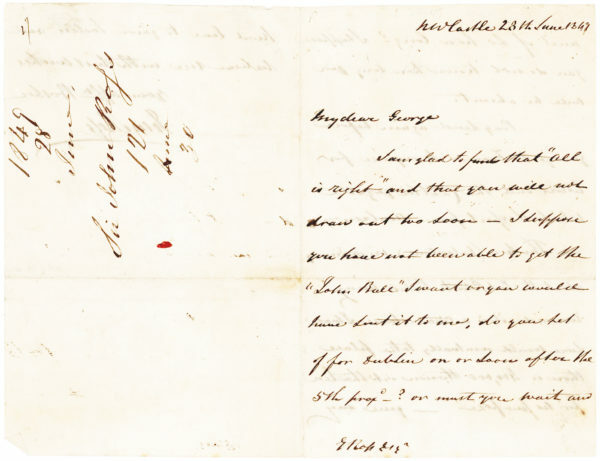 During McClintock’s 1857-1859 voyage, he discovered relics from Franklin’s ill-fated voyage including a written record from a member of his crew noting Franklin’s death on June 11, 1847, suggesting that he had likely not participated in any cannibalism. During the 1860s, McClintock was posted to the Jamaica Dockyard, Portsmouth Dockyard and, the year after our letter, appointed commander-in-chief of the North America and West Indies Station, aboard its flagship, the HMS Northampton. He retired in 1884 with the rank of rear admiral. 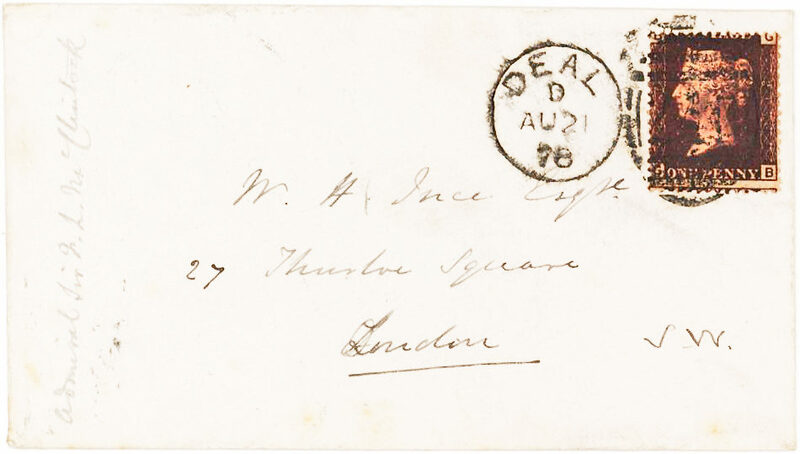 Ince was an autograph collector with an interest in the natural sciences, whose brother was a Royal Navy officer. Written from the town of Walmer on the Dover Coast in Kent. On a folded sheet with some light creasing and minor wear. 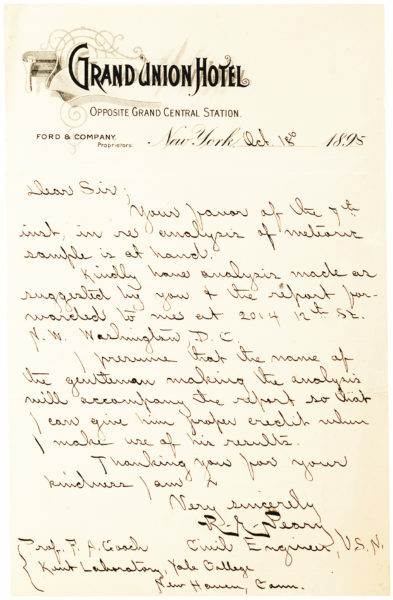 With the original envelope and in very good condition. 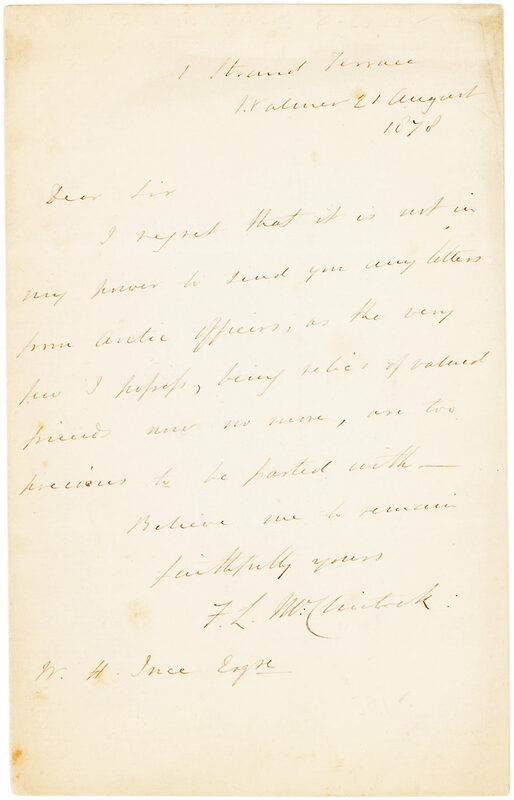 Accompanied by a vintage color engraving of the “Discovery of the Franklin Expedition Boat.” Letters of McClintock are uncommon.